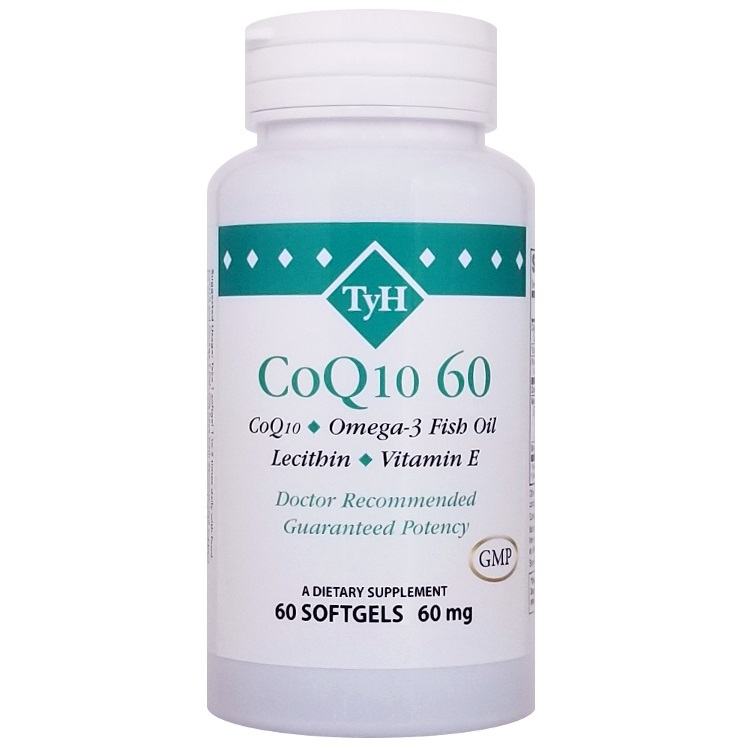 Anti-oxidant protection against "bad fats"
More CoQ10 options are available here. Other Ingredients: Softgel Capsule (gelatin, glycerin, water, carob, annatto extract), Rice Bran Oil and Beeswax. Contains fish (sardines, anchovies, mackerel) and soy. Manufactured without wheat, gluten, milk, egg or shellfish ingredients. Suggested Use: As a dietary supplement, take 1 softgel 1 to 2 times daily with meals, or as directed by your health care professional. Medical Disclaimer: For informational purposes only. While we believe that supplements play an important role in overall health and nutrition, the information provided on this website is not intended to substitute for professional medical advice, nor to prevent, diagnose, treat or cure any medical disorder. CoQ10, Pre-Diabetes, get out of the box! CoQ10, What's in My CoQ10? If you have a suggestion for an article that's not in the Health Library, email us at editor@e-tyh.com. We'd love to hear from you!